Presented to the market is this croft tenancy in Coll with a four bedroom dwelling house in Back on the East coast of Lewis and enjoys stunning seaviews over Broadbay and the surrounding village. The property is surrounded by extensive garden ground with mature shrubs and trees and there is a large driveway to the side/rear that offers ample off-street parking along with a large garage and drying area. 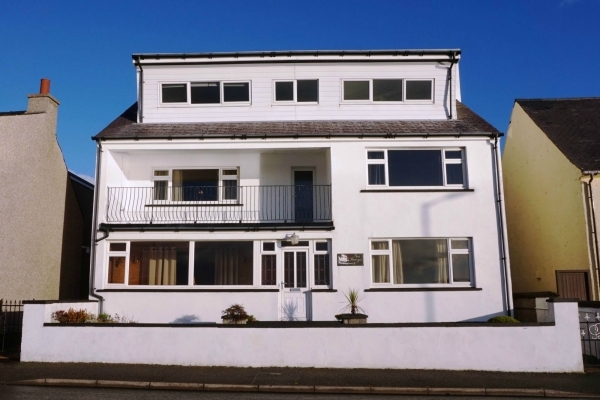 Accommodation is presented over two levels, with spacious living accommodation on the ground floor including a kitchen, shower-room, two lounges and one bedroom and on the first floor there are three spacious bedrooms. The property benefits from oil heating and uPVC double glazing on the ground floor and timber velux windows on the first floor. Coll is a sought after area with beautiful sandy beaches and local amenities nearby including a pre-school and primary school, petrol station with grocery store, gift shop and pharmacy. The main town, Stornoway, is only 7 miles away with further amenities of shops and supermarkets, education, healthcare, sports centre, art centre, restaurants and bars, and transport links. The Croft Tenancy are subject to Crofting Commission approval. View is strictly by appointment only.